An Introductory Workshop for those who want to get their hands dirty with purpose. 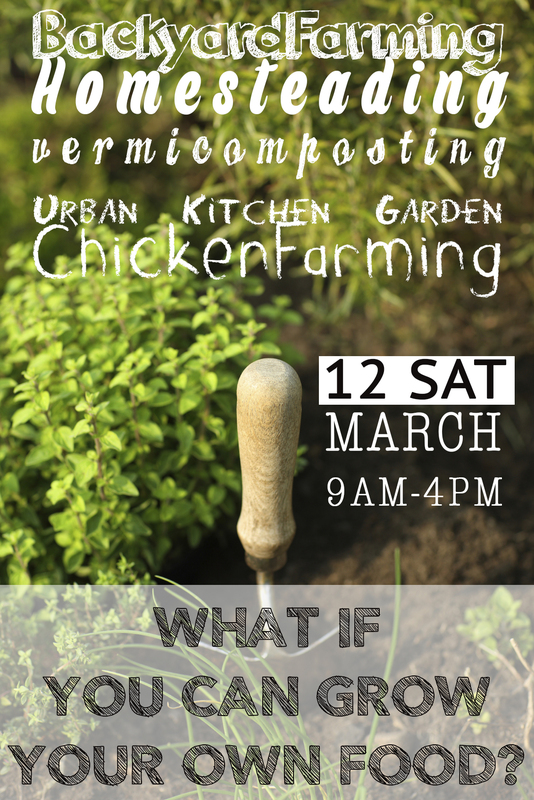 DATE AND TIME: The Introductory Backyard Farming Workshop will be held on March 12 Saturday. The Workshop starts at 9AM with a short break in the morning. Lunch is from 12:30-1:30. It ends at 4:00 to 4:30. Some practical work is included. We will discuss building soil and composting, growing your garden and pest control. You will also see our homestead and how we grow our garden at home. FROM SLEX / SOUTHBOUND: Exit Cabuyao / Sta Elena. After tollgate, make a right. About 500 meters is the Sta. Elena Village Gate. Enter there and follow the sign to the Fun Farm. There is a gate at the end of the road (after Fun Farm,) exit there. Turn left and follow the road until you see the Hacienda Sta. Elena gate. Enter the gate and ask for directions to the Clubhouse. FROM TAGAYTAY/STA ROSA ROAD: Make a left into Sta. Elena City (it is before Nuvali). You will pass Fontamara homes, Mesa Homes, Augusta, then you will reach Georgia Club Rotonda. Make right at the Rotonda. It is a long road. You will see walled communities such as Belle Reve on the right. At the end of the road is another Rotonda, make a left. Follow the long road until you see the Hacienda Sta. Elena gate. Enter the gate and ask for directions to the Clubhouse. If you have other questions, please email info@downtoearth.ph or SMS 0915-8979044.